Här kan du följa allt om valet 2018, Rockbjörnen, väder och sport. Du kan även följa lokala nyheter, nyheter från de stora regionerna som Stockholm, Göteborg, Malmö eller större nyhetshändelser från hela världen. 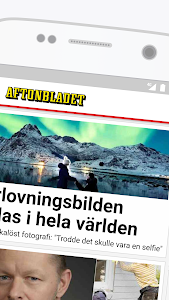 Du som accepterat platstjänster avseende Aftonbladets applikation i din Android-enhet godkänner att Aftonbladet använder sig av så kallad geo-targeting, vilket innebär att Aftonbladet löpande samlar in uppgifter om din geografiska position. We give you the very latest news in news, sports and entertainment. 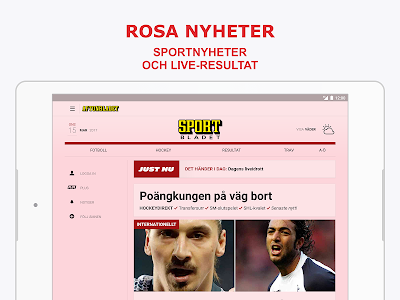 Here you can follow everything about the 2018, Rockbjörnen election, weather and sports. You can also follow local news, news from major regions like Stockholm, Gothenburg, Malmö or major news events from around the world. 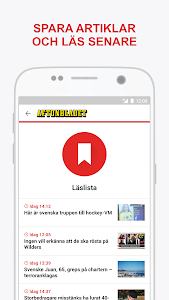 Join live reports, watch Aftonbladet TV every morning and read in-depth Plus articles or news about celebrities on the entertainment magazine. Sweden's hottest writers, such as Jan Guillou, Lena Melin, Linnéa Claeson, Robert Aschberg, always give you reviews and debate and opinion journalism. Keep up to date with our notifications at important events and save articles to read later. 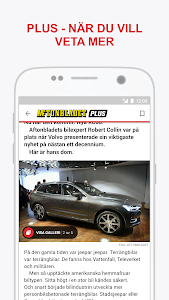 You, who accepted platform services regarding Aftonbladet's application in your Android device, agree that Aftonbladet uses geo-targeting, which means that Aftonbladet continuously collects data about your geographical location. The information is used to provide you with location-specific information and marketing via mail, telephone or electronic communications, such as text or email. The information may also be used in the development of new products and services and to provide you with custom content in our digital services, such as articles and ads that are more relevant to you. The information may be disclosed to other companies within the Schibsted Group. 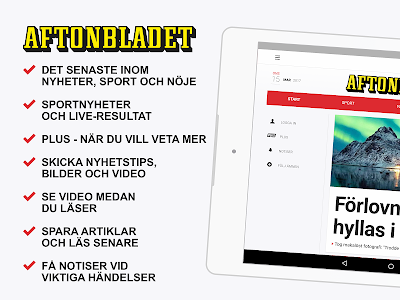 Aftonbladet saves and may use the data up to six (6) months after the data has been collected. 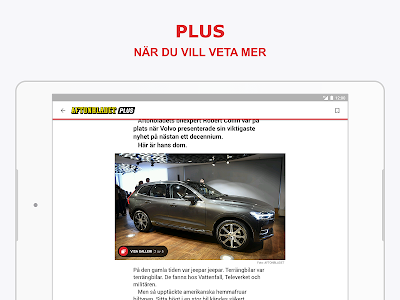 By loading, alternatively updated Aftonbladet's application, you agree to the above treatment. 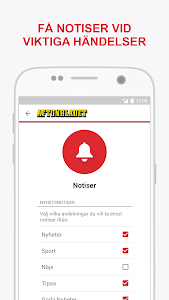 If you no longer want Aftonbladet to collect data about your geographical location, you can turn off location services on your mobile phone at any time. 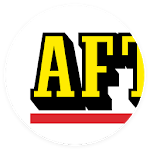 You also have the opportunity to, once a year, get information about what information is saved about you by contacting Aftonbladet's personal information representative. 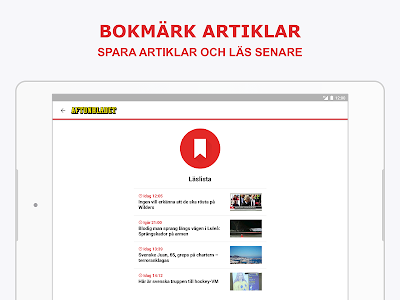 Personal Data Responsible is Aftonbladet, organization number 556100-1123, Västra Järnvägsgatan 21, 105 17 Stockholm. 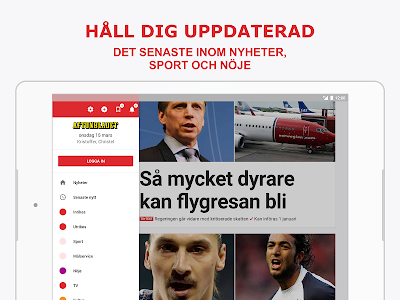 Just nu har du Sveriges största nyhetsapp i händerna! Den blev just ännu bättre efter några små buggfixar och förbättringar. 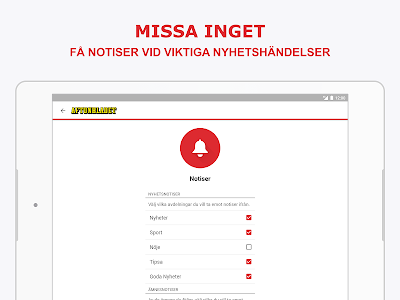 Vi är jätteglada att du använder vår app och vill gärna veta vad du tycker. 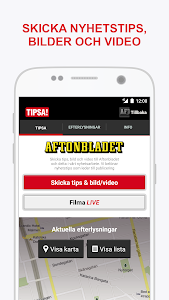 Skicka din feedback om appen till [email protected]!